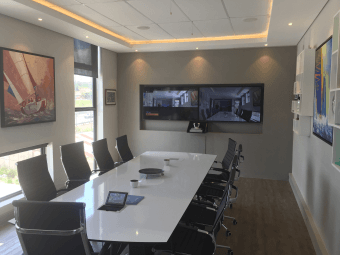 AVC was contracted to supply the audio visual design and implementation on a new building in Johannesburg. The building was to be environmentally friendly, with a small carbon footprint. Solar panels provide power to the building. Rain harvesting systems are used for internal water systems and irrigation. The building’s glass design was made to use maximum amount of natural sunlight, rather than electrical lighting. The AV system design was created, keeping this green theme in mind. 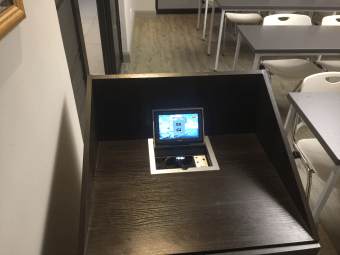 With there being multiple rooms requiring AV, a streamline design was put in place to minimize the amount of equipment used, thereby conserving energy. 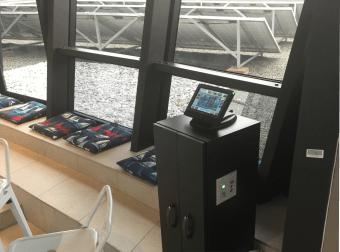 Besides the control system controlling devices in the rooms, it also ensures energy savings as the control system monitors rooms for occupancy and switches off lights and devices/equipment when the rooms are not occupied. The client reception area is scheduled to play DMX background music between 8:00am – 5:00pm weekdays via the control system and over weekends all non-essential rack based equipment is turned off. In the event that rooms gets used over the weekends, the system automatically powers up for use. 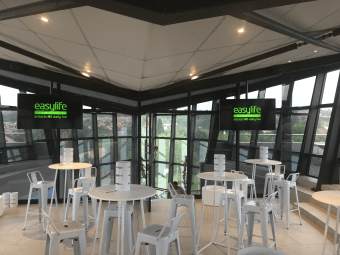 With the system being designed for energy saving, equipment was carefully selected to ensure that all the customers desired functionality was catered for whilst using the least amount of devices possible to ensure energy consumption remains at a minimum. Single Extron IPCP 550 control processor. Single Extron DMP 128C P DSP. Single Extron XPA 2004 is an ENERGY STAR® qualified amplifier with an Extron exclusive, highly efficient, advanced Class D amplifier design. Single Alfatron MMX88A matrix switcher with HDMI input cards and HDBaseT output cards. SmartBus lighting controllers and occupancy sensors for lighting control and occupancy sensing. 2 x Extron TLP Pro 720C touch panels for control interfaces in the main boardroom and training room. Extron TLP Pro 720T touch panel as a control interface in the loft entertainment area. 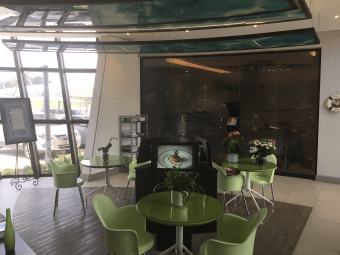 3 x ELO touch interactive monitors in the client reception area, where customers can sit and browse at their leisure at product offerings whilst waiting to be served by a consultant. 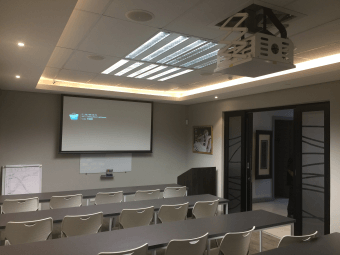 Beyerdynamic wireless microphones are used in the training room and loft entertainment area. 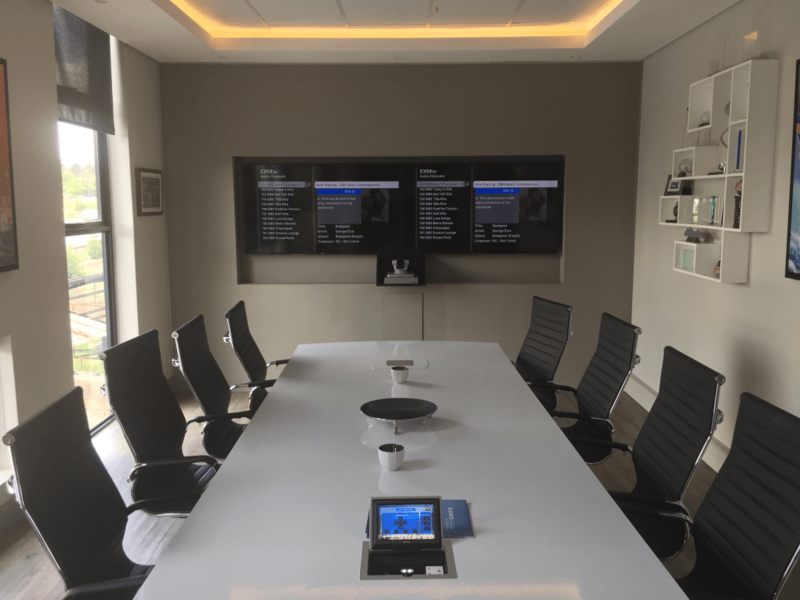 Sony Video Conference System in the main boardroom also eliminates the need for traveling for meetings, locally and long distance thus reducing carbon footprint.